Worst Best Picture: Is Around the World in 80 Days Better or Worse Than Crash? In “Worst Best Picture” we search every single Best Picture Oscar winner of all time from 1927 to present to uncover the worst of them all. Conventional wisdom says that 2005’s winner Crash is the worst winner in history. We won’t stop until we’ve tested every last one. Read the the first, our review of Crash, here. Posts will be relatively spoiler free, but there may be some details revealed. 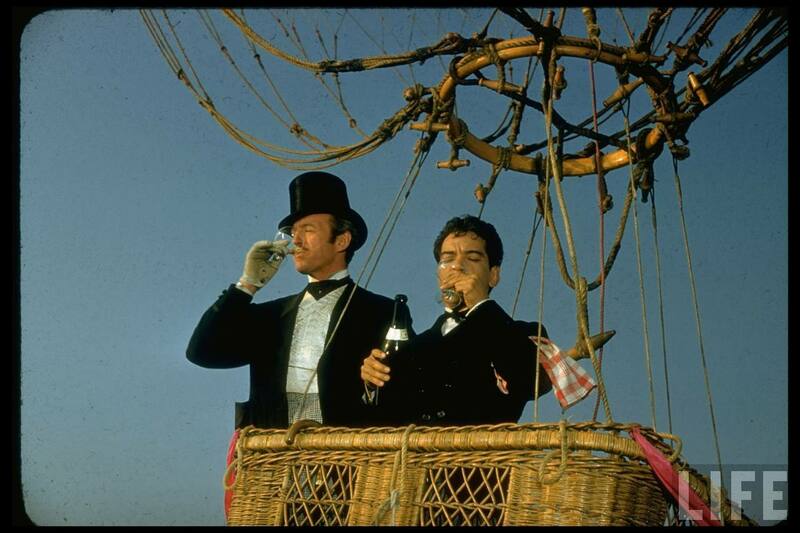 Today’s installment is the 1956 winner Around the World in 80 Days. Is it better than Crash? I might. This is a tremendously bad movie. It’s tough to even decide where to begin. Let’s break this down. The movie starts with a 10-minute fake newsreel about the history of travel from Edward R. Murrow. To some degree, that’s a novelty. It’s so strange to see a time when people would go see a fanciful “road movie” and then be delighted to see the leading newsman of the day explain travel as an idea to them. It really sets the tone for next three hours. The rest of the movie falls into place, and I mean that term in the worst sense. You get the sensation that the creators cast a ton of big names and secured some exotic locations and then picked moments from Jules Verne’s book that fit those. There is no larger narrative beyond “go around the world.” David Niven bets a bunch of stuffy British people that he can go around the world in 80 days. There you go. You can skip it now. If you do see it, you’ll see some absurdities. Chief among these might be the legendary Mexican actor Cantinflas fighting some bulls for half an hour, which, again, they just heard they could get Cantinflas and filmed around it. He’s charming and funny in it, but it’s just such a strange performance. It has nothing on Shirley MacLaine as the exceedingly white Indian bride that they save from being burned alive in ritual practice. The less said about the view of 1956 India — or the very, very white woman they meet there — the better. Yikes. The prevailing emotion after watching this epic is one of wonder, but more wonder at a time that does not exist now. This is a terrible movie. It’s far too long and feels even longer, and it’s chock-full of easy, obvious things to cut. An entire trip to the Wild West does nothing for the story at all. India introduces the terrible love story, and that’s it. The setup itself takes half an hour, and if the idea was “show all these great locations” you may as well start out with the champagne in the hot air balloon. It would be difficult to imagine the kind of person that would like this movie in 2014. From it’s time, though, it does represent a monumental achievement in scope, though one that throws out narrative and any hope of meaning to do so. The Best Part: The saving grace here, such as it is, is that some of the performances are great. Cantinflas is funny and David Niven is crafty, and both of those are good, because they’re both on screen for almost three solid hours. The Worst Part: This has to be the unexplained Shirley MacLaine role. She’s excellent in The Apartment and Terms of Endearment, but there is no excuse for this disaster. The movie’s length is what it’s remembered for, and don’t get me wrong, it’s absurdly long. But MacLaine in India is just one long wince in 2014. Is It Better or Worse than Crash? One of the debates in this space has been if “nothing” is better than “bad something.” I think here the racial stereotypes and the cringe factor are as high as they are in Crash, so I have to default to a standard decision maker for Crash: Around the World in 80 Days is five decades older. Crash is certainly less boring, but all Around the World in 80 Days will do is waste your time and leave a taste in your mouth. Crash feels like an earnest attempt to make something, which is worse.